Richard George has had an illustrious career in the aviation industry since graduating from Swinburne University with a Batchelor’s Degree in Aviation in 2001. 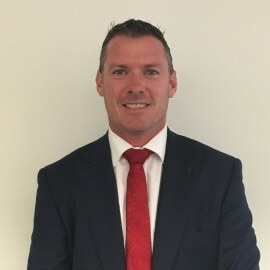 With 18 years of air-side and management experience under his belt, he is currently Head of Global Corporate and Alliance Sales Strategy for Virgin Australia having being appointed in this role in April 2017. Richard has been with the Virgin Group for 6 years, contributing his extensive calibre of knowledge in flight operations and flight training from his experience as a commercial pilot; ground operations; engineering; and in commercial revenue and sales. He has been instrumental in growing the Virgin Australia Regional Airlines contracted charter operations and is responsible for managing Virgin Australia’s corporate sales strategy including Virgin Australia’s Alliance partners across domestic and international services.